What do people do at The Forest Community Men's Shed? Where is The Forest Community Men's Shed located? Who can I contact about The Forest Community Men's Shed, including membership and community projects? Monday, Tuesday, Wednesday, Thursday & Friday. The Forest Community Men's Shed Inc. is an incorporated association based in the Sydney suburb of Belrose. The Men’s Shed provides a woodworking and hobbies workshop facility and 'drop-in centre' for retired and older aged men, where they can meet and socialise with other men and at the same time work on personal or community projects. The Men's Shed has been established to provide a 'shed substitute' for retired men who may no longer have access to their own shed, garage or workspace they can call their own. Every bloke needs a shed! 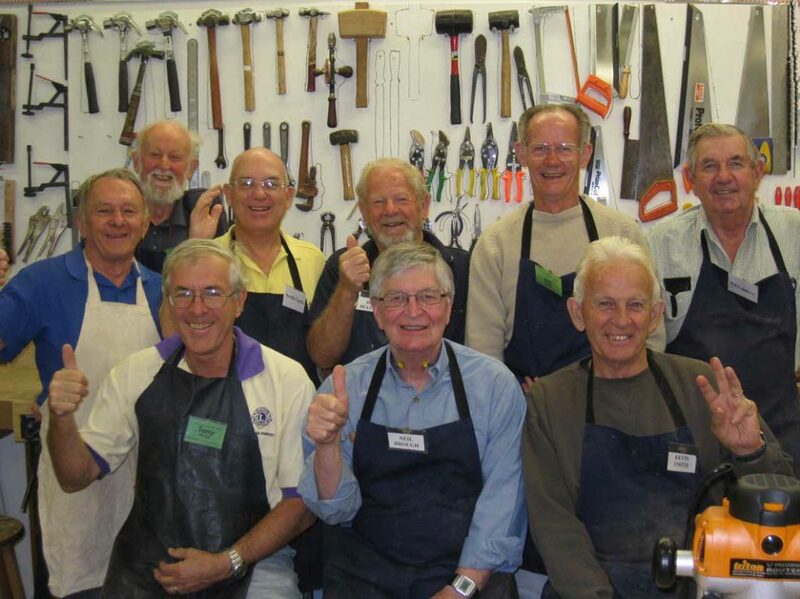 Whether through downsizing of the family home or through other circumstances, retired men who no longer have access to their own 'special work area' can use the facilities of The Men's Shed and at the same time enjoy the company of other men and 'a cuppa' in the friendly and relaxed atmosphere created by blokes working shoulder-to-shoulder with other like-minded blokes. Men's Shed members have access to an extensive range of woodworking tools and equipment that ordinarily may not be available to most hobbyists and handymen or to those with limited space. The workshop has been established and equipped under the guidance of a project steering committee comprising woodworking craftsmen, trade and engineering professionals and business managers. The supervision of day-to-day activities is undertaken on a voluntary basis by a Shed Co-ordinator in conjunction with Shed members who have been appointed as workshop supervisors. Overall management of The Men's Shed is also undertaken on a voluntary basis by a management committee comprising the office bearers of the Association and Men's Shed members. Additional guidance and support are provided by representatives of the co-founding principal project sponsors. Membership of The Men's Shed is subject to a nominal annual membership fee; as well members are requested to make a ‘token’ contribution each time they attend, to help toward the cost of providing refreshments and to cover incidental operating expenses. Members are requested to bring their own lunch if attending all day. © 2016 The Forest Men's Shed Inc.